Facebook’s censorship has gotten worse. A lot worse. You're not going to believe what Facebook is doing to LifeSite now. During our last fundraising campaign I told you that Facebook censorship was causing our campaign to struggle. Many readers were shocked over what I wrote in that letter. Well, since then the problem has gotten worse. A lot worse. Recently Facebook announced a sweeping new policy that bans all so-called "political advertising," except under stringent conditions (more about that below). Well, guess what issues Facebook considers "political?" You guessed it! "Abortion," and (get this!) "values." In other words, everything that LifeSite reports on. (See Facebook’s list of “political” topics). After rolling out that new policy, Facebook immediately began blocking almost all of our ads. That includes the ads we usually run during our fundraising campaigns asking for donations from our Facebook fans. Facebook is preventing us from telling our nearly 1 million Facebook followers about the summer campaign. A significant number of these people regularly donate to our campaigns. The reasons they have given are, truly, Orwellian. Before I share with you the shocking e-mails we have received from Facebook, I must remind you that there are only 5 days left in our summer fundraising campaign. With $144,749 left to raise to reach our goal, and with our fundraising ads being actively blocked by Facebook, we need your help more than ever. So, what reason did Facebook give us for blocking our ads? Well, take a look at that photo at the top of this article. Facebook told us that that photo was too “political." Seriously. They said the same thing about the four photos in the collage below. Do you see anything "political" about those images? Me neither. “… I believe what is causing the Ad Disapproval is the actual photo itself for the Ads you were wanting to run. While you have access to be able to run political Ads, the Policy team did indicate that the images were not able to be used. Since that is still a hot topic for some users, it may be offensive for Facebook to show on their end, or allow to be shown. I do see that the Ad has a fetus and while it involves your Ad text and topic, it may be viewed too strong for Facebook to allow to show. I hope you understand that I am not able to change that on my end. My best recommendation would be to use different images. If that still comes back disapproved, then it may be deemed not able to be used for Ads on Facebook." "I would consider using different images. If those are still disapproved, then perhaps the topic might not be able to be used. I can't say specifically in this case as I am not on the Policy team. I definitely understand what you are referring to, but more than likely the topic you are speaking of may offend some, or Facebook finds they would rather not allow that type of Advertising at this time. Perhaps Facebook would rather remain neutral as they would not want to offend either side. While you do have authorization to run Ads, perhaps this topic might be the cause of those disapproval." The topic, by inference, was the “political” topic of abortion, which Facebook was concerned would “offend some.” What about the hundreds of thousands of LifeSite readers who would be rightly offended by this totalitarian censorship? Is Facebook really being “neutral” by now prohibiting ads and articles of a type that we were able to post for years, enabling us to reach all the people who choose to receive our articles by following our Facebook pages? Would any of them be offended by the ads and other articles? No. But I bet they are offended that Facebook is choosing what they can or can't read. That means there are 962,000 people who chose to receive our updates on Facebook. These people also in turn frequently share LifeSite's articles with their own friends on Facebook. That often leads to millions of people reading many of our stories. Some go viral on Facebook. As far as we can determine, Facebook itself has chosen to become highly political by implementing this gross discrimination against conservative websites and individuals. Adding insult to injury, in January Facebook announced that they would be prioritizing posts from "trusted" publishers. And who might those "trusted" publishers be? You guessed it: giant liberal publishers like CNN and the New York Times. Facebook used to genuinely be a “platform for all ideas." In his recent responses during Senate hearings, Zuckerberg even claimed it still is. But in reality, Facebook has become a platform now heavily biased in favor of progressive or liberal media, organizations and persons. I say Facebook is a political actor because the worst of these changes have happened since the election of President Donald Trump, which the social media giants horrifyingly realized was facilitated by conservatives very effectively using their services. After over two weeks of correspondence, we were finally able to get some of our ads accepted by qualifying as a “political” advertiser on Facebook. To do that, Rebekah (our social media manager) had to provide Facebook with proof of her US residency by submitting to them her personal home address, driver license, and the last 4 digits of her Social Security number. However, the cost per donation received for these “political” categorized promotions (ads) doubled. From the usual average of $5.95, they went to $12 per donation click. Yikes! That is, spending any money promoting our summer campaign this way is way too costly. We have been trying to find out from Facebook why this has been happening. More correspondence, waiting, emailing again, waiting. In the meantime, we have now also been unable to get additional “political” ads approved by Facebook even though we now qualify for “political” advertising. That is, we wanted to try different ads to see if the cost per donation click could be made far more reasonable. No dice. Not approved again. "As we mentioned on our call, we will send the issue with the Political to our team to see why you are having issues with running political Ads even though you have gone through the full authorization process. We also went over the issue you are having with creating new Ads…"
While all this has been going on we have joined a coalition of over 60 organizations and prominent individual working to stop the social media censorship of conservative views. Once again, there are only 5 days left in our campaign and we still need to raise $144,000 more to reach our very minimum campaign goal. 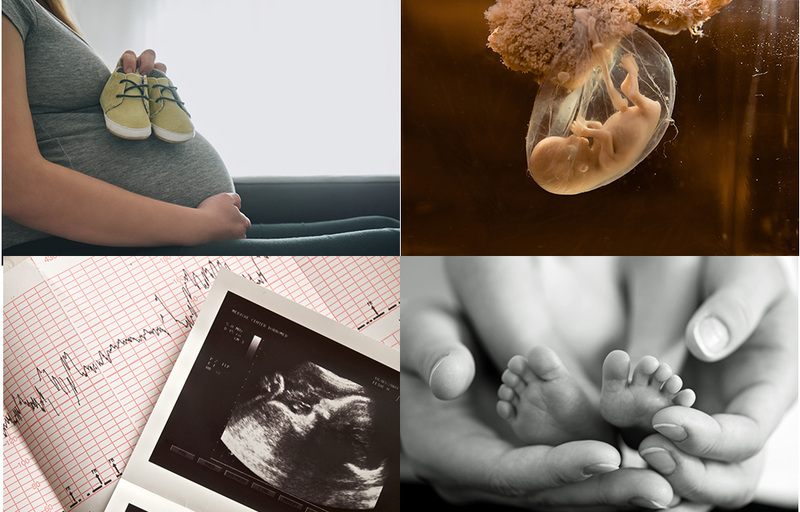 Please, help our pro-life and pro-family mission by donating today. Thankfully, we have a substantial email list and large numbers of people coming directly to LifeSite, or via Google search and Google News. Many others are sharing our reports and bringing other new readers to LifeSite. As well, although our Facebook numbers have been dropping significantly, there are some loyal Facebook LifeSite readers who have followed the 3 special steps to ensure that they continue to see our Facebook posts.